Hello Everybody! 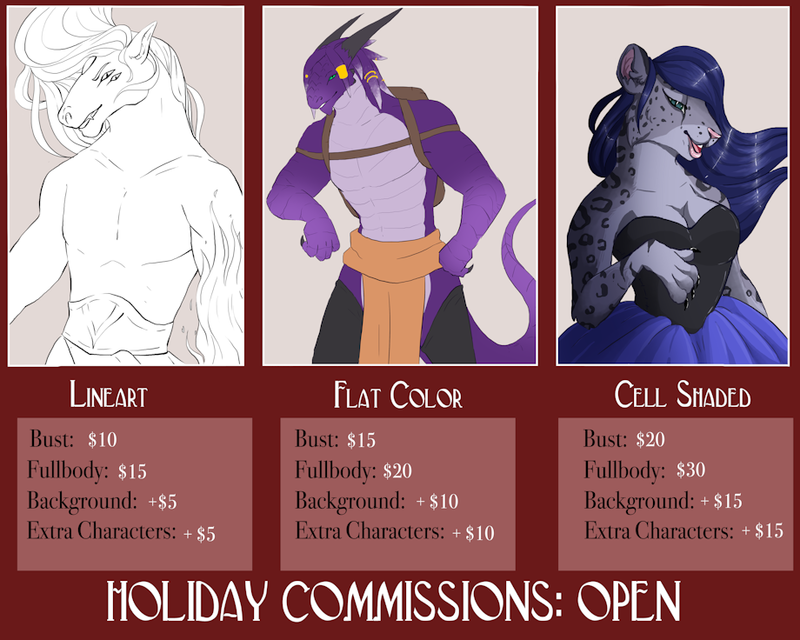 It is the holiday season so I am opening up reduced price commissions! I need some extra cash to buy people gifts and If you're like to purchase a commission as a gift for somebody, hopefully I can help you out too! Prices are in USD, I will accept other currencies so long as the proper conversions have been made! payments are expected via paypal and after I have send you the first WIP shot of your commission! **flat color or gradient backgrounds are no charge of course! If you are interested in a commission, please send me a note with all of the details!